Part textbook and part handbook, From 'Huh?' to 'Hurray! ': Righting Your Creative Writing leads creative writers of all levels and all genres through the entire writing process. This accessible guide offers helpful suggestions to prompt and encourage even the most blocked writers to explore and develop their written word. Whether readers are working independently, with a class, or in a writers' group, the easy exercises contained within are created to inspire each to achieve his or her fullest potential. 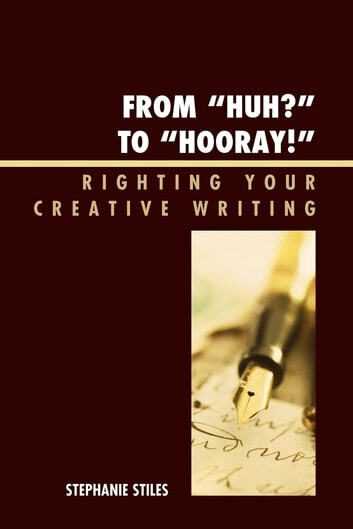 Structured around the basic elements of all good creative writing, From 'Huh?' to 'Hurray!' takes its readers through the process of creation and composition in brief and comprehensible sections. Each chapter offers an overview and several specific examples of its topic, followed by a set of clear exercises designed for writers of all varieties, from the novice to the pro, from the poet to the novelist. This text will certainly take a writer's work from huh? to hurray!